Is It Safe to Run with a Hernia? The majority of injuries and conditions have symptoms that make not running an obvious decision. Others may either go unnoticed or feel symptomless while running, that we continue training possibly making the issue worse. It is usually not until we are in significant pain that we decide to get a proper diagnosis for any condition, where we are then told whether we can continue our regular exercise routine or not. One diagnosis that is commonly questioned regarding cause and effect are hernias. A hernia is a bulge of tissue that protrudes through a weakened area in the body, typically the abdomen. Some hernias are harmless and heal on their own, while others may be dangerous if activity is attempted. 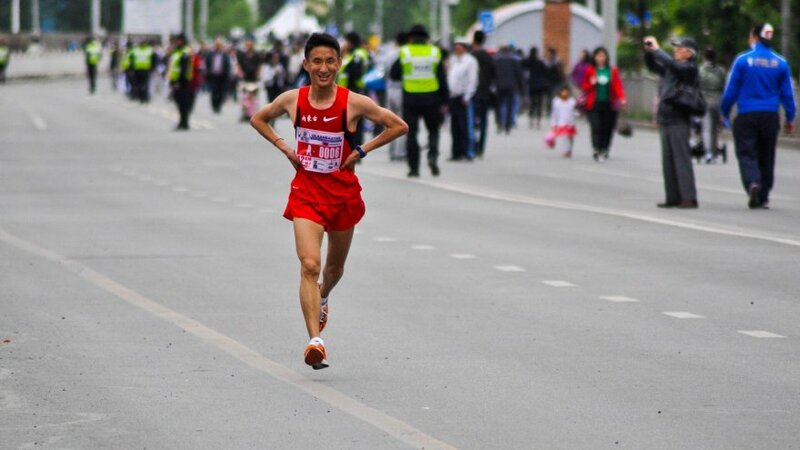 Either way it is important for runners and other athletes to understand the type and cause of their hernias and limit their activities accordingly. Sports Hernia: This type of hernia is caused by sports involving quick twisting or bending such as in soccer, boxing, and running. A small tear in the abdominal muscles at or near the groin region can occur with these movements and over time create significant pain. Sports hernias may or may not involve the protrusion of internal tissue; it solely refers to tears in the abdominals. Inguinal: This is the protrusion of the intestines or bowel and can be caused by the same movements as sports hernias, along with activities that require too much straining or pressure in the area such as lifting heavy weights, coughing, or sneezing. Femoral: This type of hernia occurs when tissue protrudes through a weakened area into the thigh region right at the crease near the groin and is commonly mistaken for an inguinal hernia. Femoral hernias are difficult to diagnose and many times are not found until they are strangulated, which means the tissue gets trapped and cuts off blood supply. This will require immediate surgery. Umbilical: Intestinal tissue, fat, or fluid protrudes through a weak area in the belly, usually through or near the belly button. This type of hernia is normally found in infants, but can also occur in adults who are overweight, pregnant, or have any other health problems that cause pressure in the area. Hiatal: This type of hernia involves tissue from the stomach protruding into the chest. This is normally a symptomless issue and can be left alone if there are no other complications from it. If there are symptoms present, it is usually heartburn, which can lead to gastroesophageal reflux disease (GERD). Since there are some hernias, such as a hiatal hernia, that show no symptoms, it may be safe to continue a regular exercise program. It is always best to consult with a medical doctor for clearance, though. 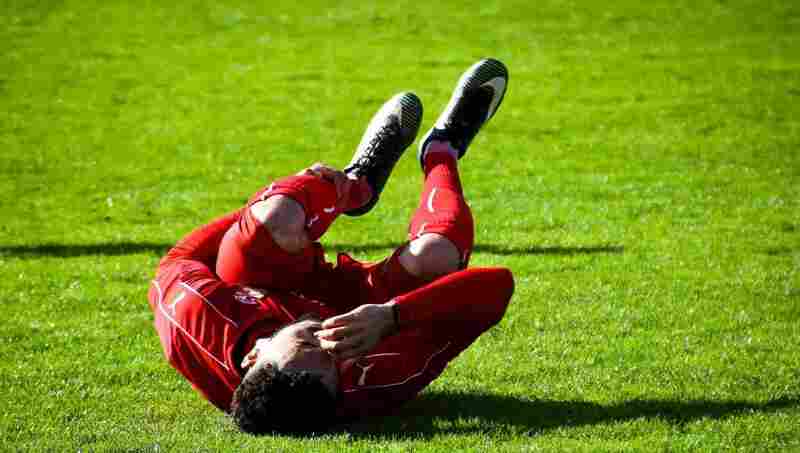 Most contact and high-impact sports may pose dangerous complications to existing hernias. Any movements that create pressure in the area of the hernia will only push the protruding tissue out further and/or cause strangulation, leading to an emergency situation. Examples of exercises that are best to avoid are push-ups, pull-ups, bench press, and lifting heavy weights. Running does not necessarily cause much pressure in the area, unless forcing faster paces, such as in sprinting. Sports hernias, which are normally caused by an intense movement during exercise, can worsen if the sport is continued. Once diagnosed, if the sports hernia is a minor tear, it may only require a few weeks of rest, followed by a rehab program consisting of strengthening the weak abdominals before initiating sports. If the tear is large or a complete tear, surgery may be necessary to repair the tissue. This will require several weeks of rest and rehabilitation. Other hernias such as umbilical and inguinal hernias may tolerate running and other sports as long as it does not cause pain or discomfort. If the hernia begins to change size and cause pain, it may be a sign of the beginning of strangulation, which will require surgery in order to be able to continue running. Weakness in the abdominals and surrounding muscles is usually the cause of most hernias in the first place. The abrupt movements mentioned above such as quick bending and twisting, require significantly strong hips and abdominals in order to avoid the development of a hernia as well as any other injury in the body. The best way to help prevent these issues is to incorporate core exercises regularly into your fitness routine. Below are effective exercises to target these muscles. Whether the diagnosed hernia requires conservative treatment or surgery, the rehabilitation to prepare the body for running is the same. Initial resting is required to decrease any tension and inflammation in the affected area. This resting period may last a couple of days up to a few weeks depending on the severity. After this down time, core strengthening should be initiated, with exercises such as the ones above. Once the abdominals have gained a good amount of strength, running can be incorporated. A walk-run program is always best at the beginning, gradually increasing running time over the span of a few weeks. Most surgical repairs of hernias have a quick recovery, but it is crucial to go through the entire rehabilitation to prevent complications or a recurrence.